MOST OF US ENJOY growing plants that remind us of people and places that are important to us. For me, oreganos are exceptionally evocative; their piquant aromas recall my olive-picking days in Italy, the searing heat of the Greek countryside, the spicy fragrance of the maquis of southern France. When I first began growing them in my garden, they tasted and smelled disappointingly bland, lacking the tang of the wild herbs in their native habitat. In an attempt to recapture those memorable scents and flavors, I swapped for or bought oreganos of every kind and description. I ended up with a sizable collection, though I eventually had to acknowledge that Mediterranean herbs grown in the cool maritime Northwest will never have the snap of their ancestors. 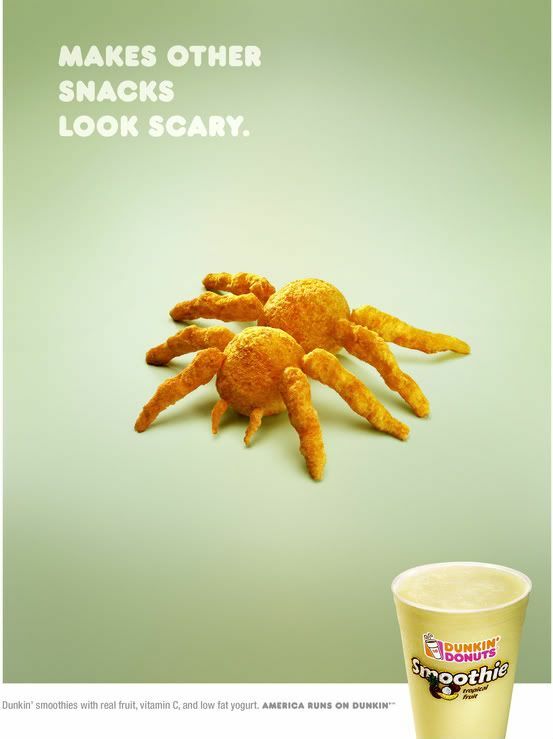 Even so, the experience taught me new respect for this versatile and variable family. It also introduced me to a swarm of ornamental oreganos, little-known beauties outstanding both for appearance and perseverance. My garden now holds more varieties than ever, grown not as edible accents but as hardy perennials. Some border oreganos offer striking foliage all season long, and many others provide a steady stream of flowers from mid or late summer into autumn. Though uniformly long lasting, the flowers may be short and widely lipped, as in wild oregano (Origanum vulgare), or narrowly tubular and airily clustered, as in O. laevigatum. 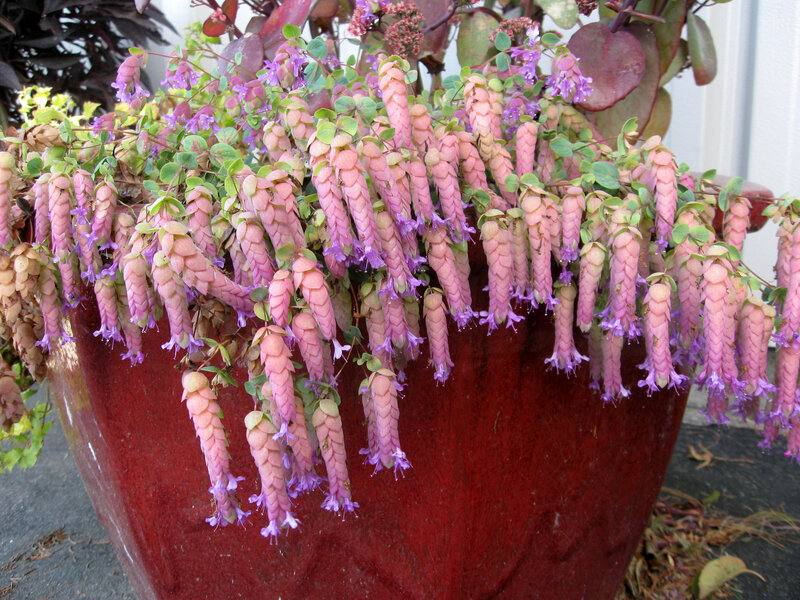 In smaller oreganos the flowers may be tucked between overlapping and highly ornamental bracts, whether tiny and brilliantly colored, as in dittany of Crete (O. dictamnus), or elongated into the singing pink trumpets of O. amanum. 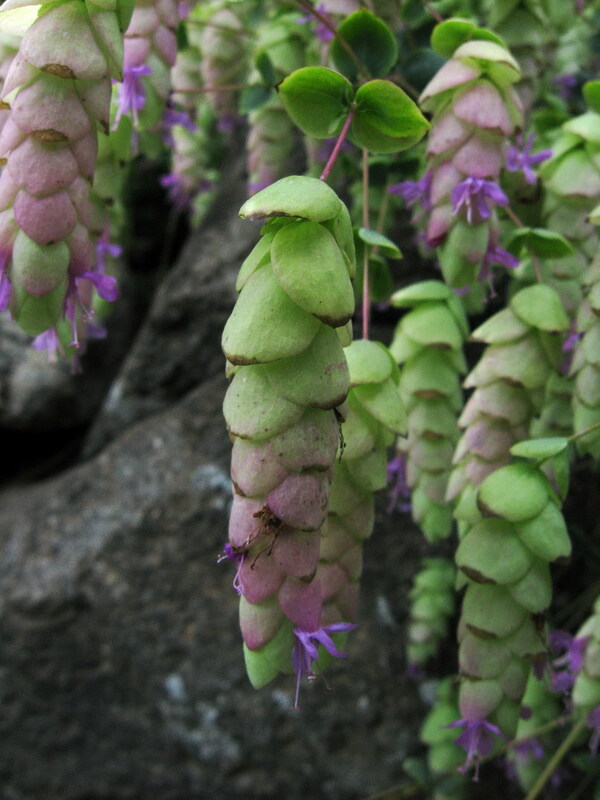 Whatever their shape, oregano blossoms are held on square stems decked with leaves in opposite pairs. These are often rounded or elliptical, and in some cases are at least as attractive as the blossoms. Like their relatives the thymes and mints, the oreganos have square stems that proclaim them members of the family Lamiaceae. These popular herbs, valued for their aromatic essential oils (carvacrol and thymol in the case of oregano), share a taste for dry soils with quick drainage and plenty of sunshine. Like most culinary herbs, species oreganos, including the milder flavored marjorams, are readily grown from seed, though many are quite variable. Garden forms must be propagated by division if they are to remain true to name; fortunately, those with creeping rootstocks are remarkably easy to divide. Though clump formers are less amenable to division, cuttings are usually quick to strike, especially when placed in an airy blend of vermiculite and sifted compost. Oreganos with running roots spread fairly quickly and may need division every three to five years, but clump formers rarely outgrow their positions. Most oreganos grow cheerfully in sites that challenge more water-dependent perennials, such as dry, sunny slopes and seaside gardens. They also thrive near swimming pools and in urban gardens where trapped heat and reflected light from nearby buildings force many plants into premature dormancy. 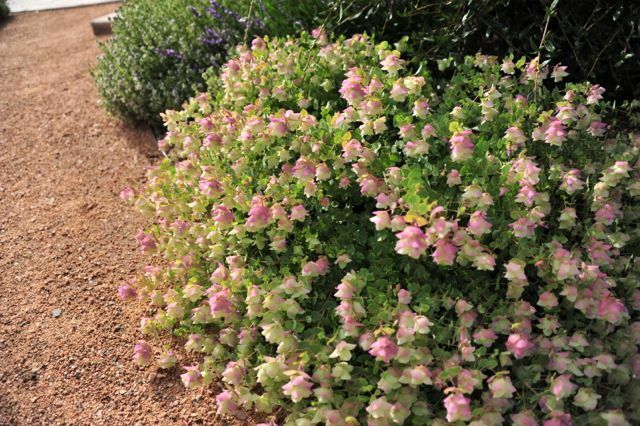 Though they are never happy when soggy, oreganos can grow well in partial shade, and even in heavy, clay-based soils, as long as generous quantities of coarse sand or grit are added to improve drainage. They make excellent pot plants, and the more tender species will commute quite happily between a protected sunporch in winter and the garden in summer. Hardiest and most common is wild oregano (Origanum vulgare; USDA Zone 3; to 2 1/2′), a handsome perennial that boasts the spiciest foliage of the bunch, especially O. v. subsp. hirtum. Native to Europe, Siberia, and Asia Minor, this ardent self-sower is very adaptable, but proves most aromatic and flavorful in full sun and poor, well-drained soils. Upright and bushy, its smooth, rounded leaves are paired along branching, softly furred stems. From July into September each stem is tipped with loose clusters of tiny flowers, which may be pink, lavender, or white. A compact form, O. v. ‘Roseum’ (18″), carries large and suitably rosy flower heads, while stockier ‘Heiderose’ (16″) makes a cloudy haze of appleblossom pink. Tall sheaves of Siberian iris, Aurelian hybrid trumpet lilies, and red plantain (Plantago major ‘Rubrifolia’) give any of these oreganos companionable support in or out of flower. Several sprawling forms, brightly glided or variegated, have long been claimed by kitchen gardeners, who let them spill attractively between blue cabbages and leafy green lettuces. Golden O. v. ‘Aureum’ (to 6″) pours smoothly over edging stones, while ‘Curly Gold’ (to 8″) spreads in crinkled, citrus-splashed mats along wall tops or between terrace flags. Rippling and richly textured, the whorling green tuffets of ‘Compactum’ (to 8″) are embroidered in late summer with rosy flower heads like Victorian tussie-mussies. Tinier and even finer-textured is ‘Compactum Nanum’ (4″), which mingles fetchingly in a petit point tapestry of creeping scented and woolly thymes. An upright form, 0. v. ‘Gold Tip’ (to 18″) makes a plump little bush that looks temptingly strokable. This plant doesn’t have typical striped or stippled variegation; instead, the interior leaves are Irish green while outer leaves become increasingly yellow toward the tips. This creates a lovely lemon-lime effect that makes an effective underplanting for spidery oxeye sunflowers (Buphthalmum salicifolium) and sunny heleniums. Delicate in leaf and flower, the Turkish O. laevigatum (Zone 5; to 30″) makes a surprisingly substantial garden plant. A happy specimen reminds one of a hot pink baby’s breath, its fuchsialike trumpets tiny but profuse. A large-flowered, lusty hybrid, ‘Hopleys’ (to 30″) makes a nubbly, running carpet in spring, then quickly stretches skyward, angel-wing leaves springing from dark red stems. From midsummer into fall, each is tipped with clustered sprays of warm purple flowers set in dark purple bracts. ‘Hopleys’ consorts well with bold-leaved, woolly Phlomis samia and the rosy, reflexed flowers of Echinacea purpurea, perhaps underskirted with a ruffle of black Ajuga reptans ‘Metallica Crispa’. ‘Hopleys’ flowers dry gracefully and hold color well, making it popular for floral crafts. Some of its seedlings are weedy, but others bloom in lovely shades of raspberry and mauve. Perhaps the most distinctive hybrid, ‘Herrenhausen’ (Zone 7; to 18″) makes a dramatic addition to the border. Young leaves are strongly stained with burgundy, while older leaves mature to a deep mahogany. In late summer the long stems end in puffy bursts of flowers, the lavender blossoms set in dark purple calyxes. This plant needs plenty of room to perform well; large plants often sprawl open as they bloom. The effect is worth planning for rather than trying to restrain, since its great wheels of dull maroon make an emphatic counterpoint to the billows and mounds of perennial companions. Sword-bladed Crocosmia ‘Lucifer’, bushy Aster x frikartii ‘Monch’, and skinny Verbena bonariensis are all strong enough to balance this one’s potency of form and color. Not long ago, only rock plant enthusiasts grew the more diminutive oreganos. Too delicate to read well in large-scale borders, these horticultural gems are best appreciated in troughs or set between stones in a wall, where their intricate details can be studied closely. Among the prettiest is O. rotundifolium (Zone 4), a shy charmer whose tumbled chartreuse bracts are trimmed with tiny pink flowers. ‘Kent Beauty’ (Zone 4; to 15″) a darker-flowered, prostrate hybrid with rose-stained bracts, is a more emphatic version that will soften the edge of a wall or border. Mixed with edelweiss and dwarf English daisies, it looks as sweet as Swiss embroidery. Partnered with red tweed Sedum spathulifolium ‘Cape Blanco’, the steel-blue clovers of Oxalis adenophylla, and glossy tufts of black mondo grass (Ophiopogon planiscapens ‘Nigrescens’), ‘Kent Beauty’ becomes a sophisticated little dazzler. Several rather similar hybrids are becoming available, including the apple-green and pink ‘Barbara Tingey’, and the blue-leaved, rosy ‘Emma Stanley’. Though their hardiness is still uncertain, both can be enjoyed in pots. Hop marjoram, or dittany of Crete (0. dictamnus; Zone 7; to 8″), makes a snug tussock of woolly gray leaves. Its shocking pink flowers are threaded between papery purple bracts, like a refined version of beer hops blossoms. Similar but daintier in every part is O. libanoticum (often sold as O. pulchellum; Zone 5; to 8″), a fine-textured miniature with surprising stamina. Its minute leaves smell sharply pungent, and its tiny blossoms dangle on stems like jeweler’s wire. The bright purple flowers are sandwiched between coppery rose bracts, making a blossom-covered plant look like an escapee from Faberge’s workshop. Both plants need thoughtful placement, perhaps in troughs with scaled-down tufts of bronzed Carex berggrenii and the diminutive Japanese Viola verecunda var. yakusimana. Fuzzy little O. amanum (Zone 5; to 8″) makes a chubby cushion of soft green leaves, from which emerge tumbles of purple bracts threaded with long-necked, bright pink flowers. Though fairly hardy in soils with perfect drainage, its intolerance of wet winters means it may require the protection of a clothe or cold frame. Here in the damp Northwest, it will grow happily in a pot, perhaps accompanied by blue-scaled Euphorbia myrsinites and an upstanding clump of wine-red Sedum maximum ‘Atropur-pureum’. Tall, slim, and rather openly constructed, O. xhybridinum (Zone 7; to 18″) combines the hoplike bracts of O. dictamnus with the soft flowers of O. sipyleum. Its smoky, lavender-pink blossoms are nestled between the bracts from midsummer into fall (earlier in warmer areas). This grows contentedly in a pot between a cascading Sedum ‘Vera Jameson’, with its cloudy mauve, slate, and purple blossoms, and the murky, plum-colored Euphorbia dulcis ‘Chameleon’. Where winters are fierce, any of these oreganos can while away the season in a cool greenhouse or on a sunny windowsill. Nearly all are evergreen under such circumstances, making attractive and easygoing houseplants. The more flavorful sorts won’t mind a periodic grooming to keep the chef in good supply, and a few sweetly scented leaves can turn an ordinary bath into a relaxing and festive celebration. Most familiar today as an ingredient in pasta or pizza sauce. oregano (which means “joy of the mountains” in Greek) has been valued in and out of the kitchen for millennia. The name refers both to the way wild oregano (Origanum vulgare) paints its native rugged mountain slopes rose and lavender, and to its uplifting fragrance, considered since medieval times to charm the heart and brighten the spirits. In ancient Rome, married couples wore oregano wreaths to symbolize their happy union, while the Greeks planted it at gravesides to delight the shades of the departed. Both oregano and marjoram are venerable medicinal herbs. The essential oils in wild oregano are a natural antiseptic, so wounds bathed in oregano infusions tend to heal cleanly. Wild oregano tea helps to lull restless sleepers, while syrupy marjoram elixir soothes persistent coughs. The less pungent yet more fragrant marjorams were favorite strewing herbs for house floors and are still used in perfumes, soaps, and sachets. In Elizabethan England, dried sweet marjoram was used like snuff: “Put up the nostrils, it provoketh sneezing and draweth forth much baggage flegme,” the herbalist John Gerard noted approvingly.